Augustus. 27 BC-14 AD. 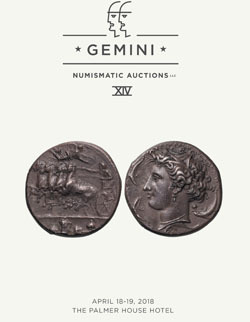 Denarius, 3.87gg. (12h). Lugdunum, 2 BC-4 AD. 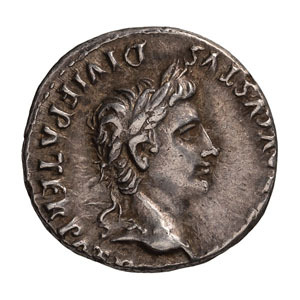 Obv: [CAESAR] AVGVSTVS - DIVI F PATER PAT[RIAE] Head laureate right. 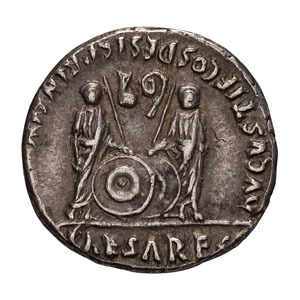 Rx: [C L] CAESARES in exergue, AVGVSTI F COS DESIG PRINC IV[VENT] around, Gaius and Lucius Caesars standing holding honorary shields and spears, simpulum and lituus above. BM 519. Paris 1651. Cohen 43. RIC 207. aEF. Ex Philip T. Ashton Collection. Purchased in October 1998.